The final person to beg on Jesus was the healed, sane, clothed, peaceful man himself. When you encounter God and find yourself peaceful, healed and free… maybe even happy? !… then you will find that everything has changed. You will beg Jesus to let you go everywhere he is going. You’re not afraid of the fires of hell like the demons because He has demonstrated his acceptance of you. You are His and He is yours. You have turn from you past and left the cemetery behind. You are a new person all together. All you want is more of Jesus and are willing to give up whatever in order to follow him. This is who we are today as believers. We are the healed ones. We are made new. We are happy. We are at peace. I declare this over you in the name of Jesus! Be new. Be happy. Be at peace. In Jesus name. If you have always called yourself a believer in Christ but these concepts seem foreign to you, don’t freak out. I would love to talk with you, though. I would love to tell you about the hope we have and the good news. Healing is available. The last thing I want is for you to feel judged because you don’t have these things. Be at peace, not having peace it not the standard, but it does seem to be quite normal for Christians these days. Weird. Suddenly, an interesting thing happens. For the first time in the story Jesus doesn’t concede to the begging. He doesn’t allow the man to go with him! What the *@#! )$ Jesus?! Why not? All he wants is you. Why deny him that? Has anyone else thought about this before? Look at what Jesus tells him, “No, go back to your family and tell them everything God has done for you.” Jesus sends him. He commissions him. Not in order to somehow go and gain his acceptance before God. That was already clearly settled by Jesus’ demonstration of love. For the sake of your family, go to them. One of the roles of the Kingdom is to restore broken families (Malachi 4:6). One of the roles in the Kingdom is to tell of what God has done. Think about this guy’s family. You know what? We all probably have that one crazy uncle that everyone kind of suspects is actually from outer-space… mostly so that they can feel better by disassociating with dude and claiming that his blood isn’t in your blood! Now, image this guy as your uncle! Okay, don’t invite this guy to thanksgiving anymore! You know what I’m saying? But, image him coming home finally. Restored, healed and speaking about all these amazing things God has done for him! Now that would be a great family reunion. So, what can we get from this story? One, don’t be like the demons who cower in fear at the thought of going to hell. If you are a believer, move past that and enter into His love. If you find yourself afraid of hell in spite of your best efforts to convince yourself that it shouldn’t be so, don’t beat yourself up. You need a savior to break you free. He doesn’t expect you to pull yourself up by your bootstraps and “figure it out.” Go talk to a pastor. Get prayer. Even better, go through Prayer Resolution. I promise you will come out on the other side feeling more like the healed man than the demons. Two, let Jesus have access to your money. Seriously. Ask dangerous questions like, “Heavenly Father, what do you want to do with my saving account?” or, “Is there anyone I know who is in need right now? If so, let me know so I can be an instrument of hope and healing.” Once you realize how many people in your church are hurting and dying whose marriages falling apart, families imploding, and depression is reigning, you may start to see why you have money in your bank account. Get trained as a prayer counselor. Support a missionary. Give more to your local church. Are you willing to spend yourself on behalf of those who are in need? I know so really financially tight missionaries and some really well-off friends. Can you image if someone payed the salary of a full time minister to help those who are hurting?! Three. 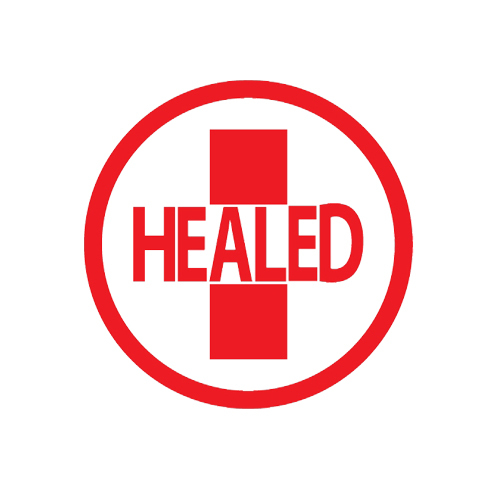 Get healed. No shame in it what-so-ever. You need to ask for help. Go through Prayer Resolution. Get rid of the demons, the depression, the anxiety, and the lies. Please be free. Please be healed. And, get trained as a Prayer Resolution counselor. I’m doing a class starting at the end of the month. Check it out. Be an instrument of healing. Be the demoniac who is healed and goes home and starts a revival in his family as he shares what God has done. There are too many people who are hurting and too few people who know how to help people heal in Jesus’ name.